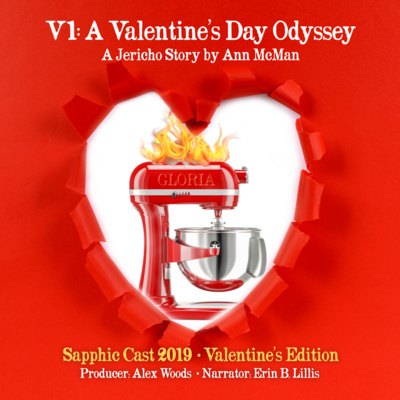 A lesbian fiction anthology podcast highlighting writers of fan fiction and genre stories. 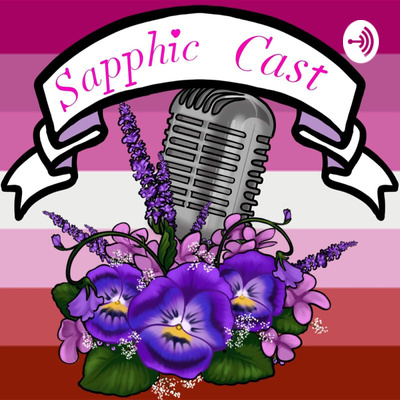 In this episode we learn about the inspiration behind The Sapphic Cast and we dive down into the fandom of THE 100 (Clarke/Lexa) and MASS EFFECT (Liara/Female Shepard) with two fan fiction pieces by Rae D. Magdon. We’re just scraping the surface of these two universes but we’re still gonna attempt it! The included stories are: “Some Wounds Run Deeper” (https://archiveofourown.org/works/10988604) “Taken” (https://archiveofourown.org/works/401185) Rae D. Magdon’s Patreon page: https://www.patreon.com/raedmagdon Rae's works : https://archiveofourown.org/users/RaeDMagdon/pseuds/RaeDMagdon The story narrator in this episode is Zumofitall. She can be followed at: https://twitter.com/zumofitall A.M. Onymous is voiced by Erin B. Lillis and the character is originally from The SubverCity Transmit podcast. You can find more work by Erin in the following locations: http://www.ErinLillis.com https://twitter.com/Ravie13/ https://www.facebook.com/RavenWolfProductions/ The producer and editor of this episode is Alex Woods (and voiced by Alex Woods). Alex can be found on Twitter at: https://twitter.com/Blackshadowhand Snipps appears as himself. You can follow him on Facebook here: https://www.facebook.com/snippsaducky/ The Sapphic Cast artwork is by https://www.animegravy.com/ Music used in this episode: Get Outside by John Farnham: https://www.youtube.com/watch?v=COdsKEpi2PA Reappear by Chris Zabriskie: https://www.youtube.com/watch?v=cQayQvN79Z0 "Light Sting" by Kevin MacLeod (https://incompetech.com) (found on https://filmmusic.io) License: CC BY (http://creativecommons.org/licenses/by/4.0/) "Monkeys Spinning Monkeys" by Kevin MacLeod (https://incompetech.com) (found on https://filmmusic.io) License: CC BY (http://creativecommons.org/licenses/by/4.0/) You can contact us at : TheSapphicCast@gmail.com Twitter : https://twitter.com/thesapphiccast Thanks for 100 Followers on Twitter! !